Can you believe it is the end of another year. It feels like every year is going by faster than the previous one. 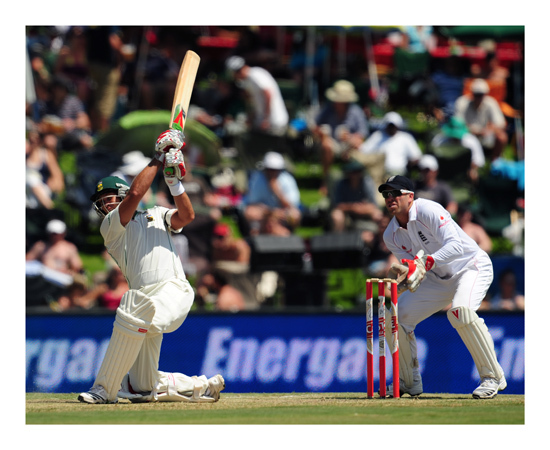 It was just the other day that i was taken photos of the test between SA and Australia. That was in 1997 at Centurion in Pretoria. Last week i was at the same ground taken photos of the game between SA and England. This is twelve years later. Here two images of the two games. 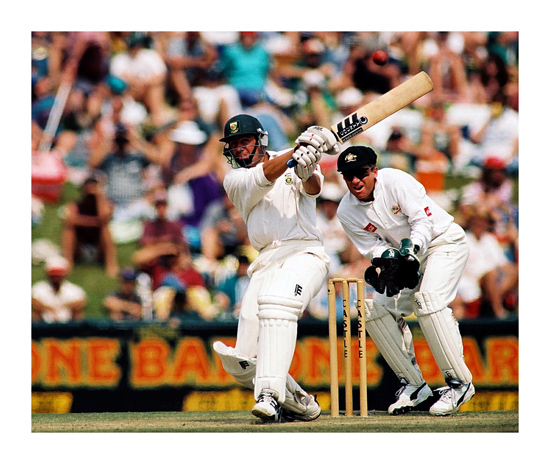 The first one is of Hansie Cronje batting in 1997 and the second of Jacques Kallis batting. I can’t remember how many runs Hansie got in that game but Jacques got 120 runs in this innings in 2009. In 1997 i was using a Nikon F5 and a Nikon 600mm F4 lens. This year i was using a Nikon D3 and a Nikon 400mm F2.8 lens fitted with a 1.7 converter. 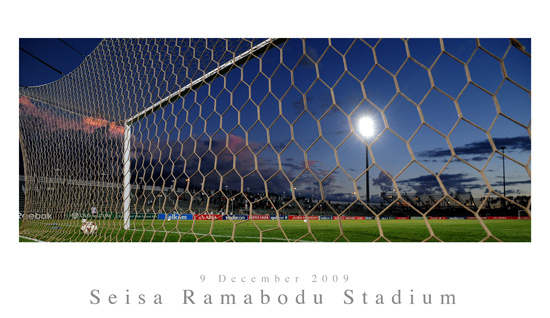 Seisa Ramabodu stadium in Rocklands near Bloemfontein in South Africa is the home of Bloemfontein Celtic FC. This ground haven’t got a big capacity and can host around 17 000 people. The stadium going to feature as one of the practice fields during the 2010 World Cup. 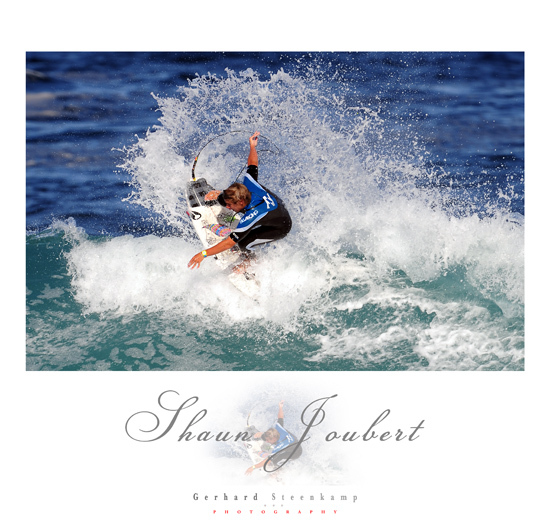 Although not big the atmosphere is fantastic and the crowd is by far the best you will get anywhere in South Africa. They are just a happy bunch singing and clapping and enjoy the game soccer. It is always a pleasure to cover a game at the Seisa Ramabodu Stadium. Here an image i took before the start of the PSL game between Bloemfontein Celtic and Maritzburg United on 9 December 2009. 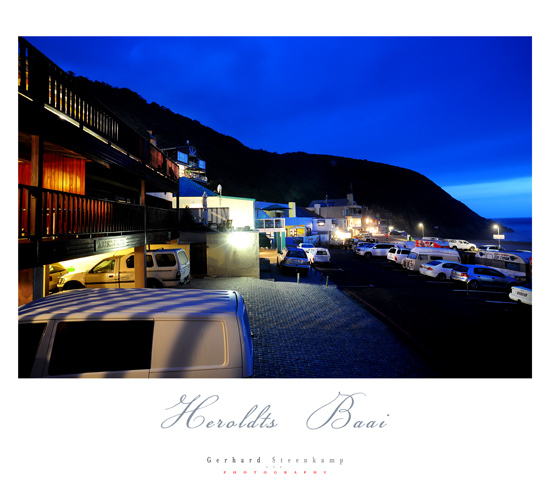 I used a Nikon D3 camera and a Nikon 20 mm F2.8 lens. My favorite photographer Joe McNally wrote the following in one of his latest posts on his Blog. If you looking for the difference between the good international sports men and the brilliant outstanding in a different class sportsmen there are two characteristics that is always standing out and that is balance and time. If they doing something on the sports field it always look so easy and it always look like they got so much more time to make a decision. There are quit a lot of them you can single out like, Pele, Maradonna, Jacques Kallis, Torres, Kaka, Naas Botha, Tiger Woods, Dan Carter, Matt Giteau and many more. These guys just let it seem so simple and so easy to do what they do and have done. 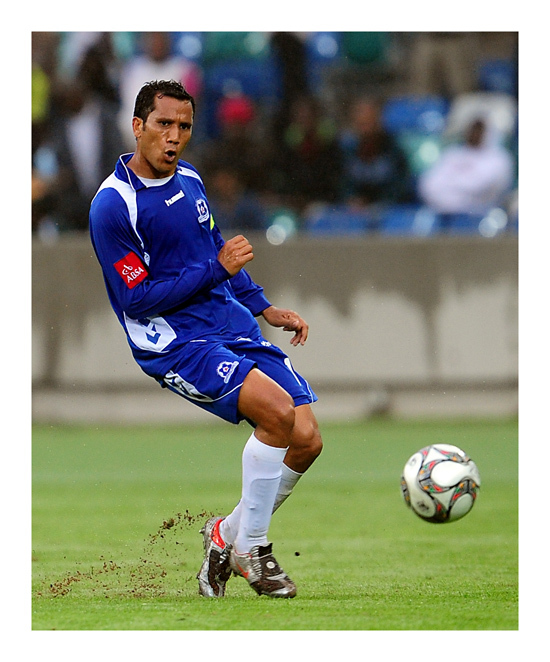 Here an image of Maritzburg’s Fadluraghman Davids that i took during the game between Amazulu FC and Maritzburg United on 29 November 2009.